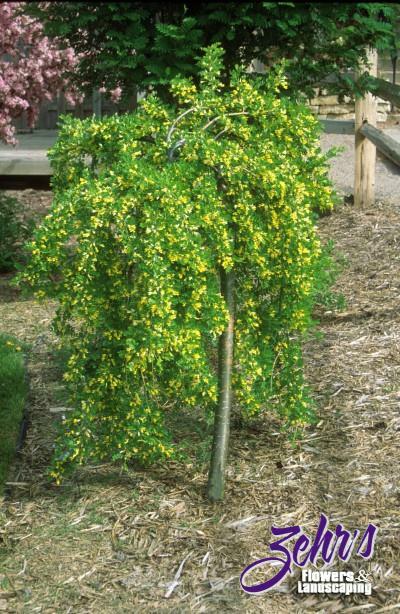 This Caragana arborescens is budded on a standard, resulting in an attractive weeping plant. The finely textured foliage creates a cascading effect, emphasized by the yellow pea-like flowers in spring. This tree is an excellent accent plant for the home landscape.